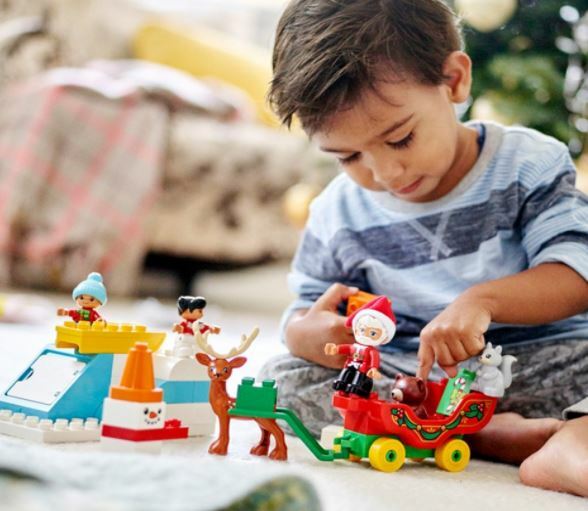 How adorable is this LEGO DUPLO Town Santa's Winter Holiday Building Kit (45 Piece) on sale for $19.99 (Retail $29.99). -Includes 3 LEGO DUPLO figures: Santa and 2 children, plus 2 animal figures: a reindeer and a squirrel. Amazon is offering FREE Shipping on all items for a limited time.